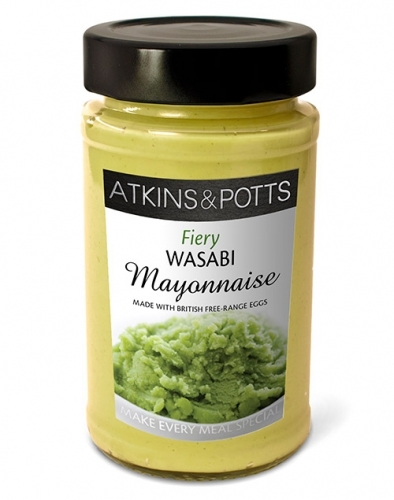 Atkins and Potts classic mayonnaise with a hint of wasabi to add bite to smoked fish, seafood and sushi, or as a dip for prawn crackers. It’s also excellent with poached eggs. Store in a cool, dry place away from direct heat and light. Once opened refrigerate and consume within 4 weeks.